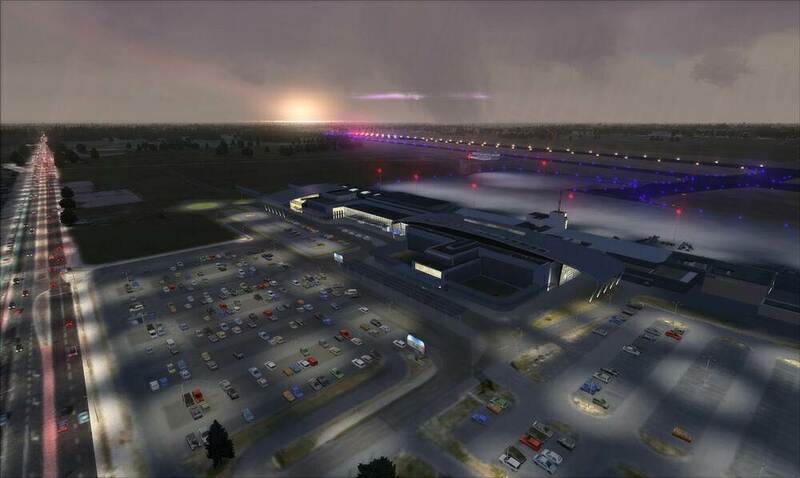 Polish Airports vol.3 is a package of highly detailed sceneries of EPPO Poznań Ławica, EPWR Wrocław Strachowice and EPBY Bydgoszcz Szwederowo airports in Poland. Poznań-Ławica Henryk Wieniawski Airport (IATA: POZ, ICAO: EPPO), built in 1913, is one of the oldest airports in Poland. It is located 5 km (3.1 mi) west of Poznań city centre. EPPO is the 6th largest airport in Poland. The northern section has been used as a military airport since its inception in 1913 as an Imperial German airbase till 23 December 2009. The southern section is used for civilian purposes. The prospect of relocating the airport elsewhere is often raised as a result of the flight path to the runway being located directly over the city. 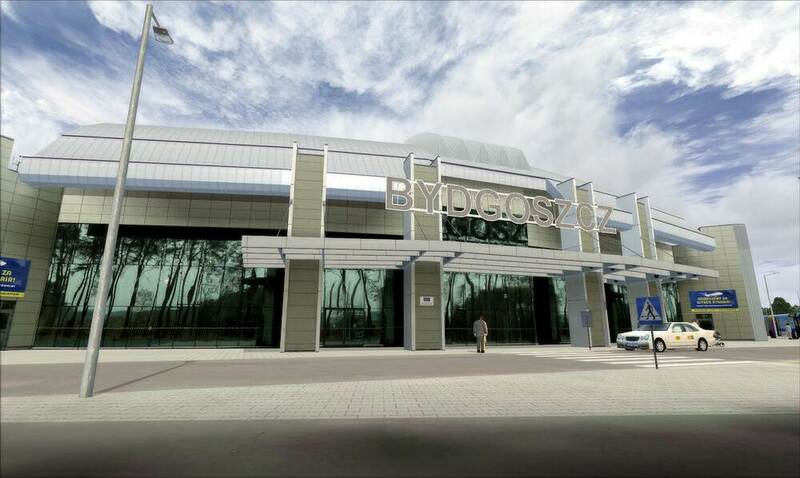 Bydgoszcz Ignacy Jan Paderewski Airport (IATA: BZG, ICAO: EPBY) (Polish: Port lotniczy im. 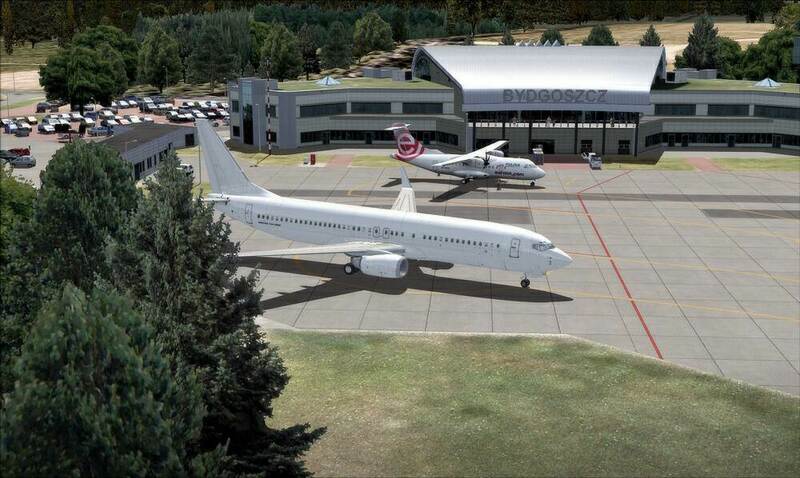 Ignacego Jana Paderewskiego Bydgoszcz-Szwederowo) is a Polish regional airport in the city of Bydgoszcz, Poland. It lies only 3.5 km (2.2 mi) from the city centre. It is the nineth airport in Poland in terms of passenger traffic. The airport is named after Ignacy Jan Paderewski (1860 –1941) a pianist, composer, politician, and the third Prime Minister of the Republic of Poland. Currently the airport features one passenger terminal and four runways, the main being 08/26 which is 2,500 × 60 m (8,202 × 197 ft). EPBY is the 9th largest airport in Poland. 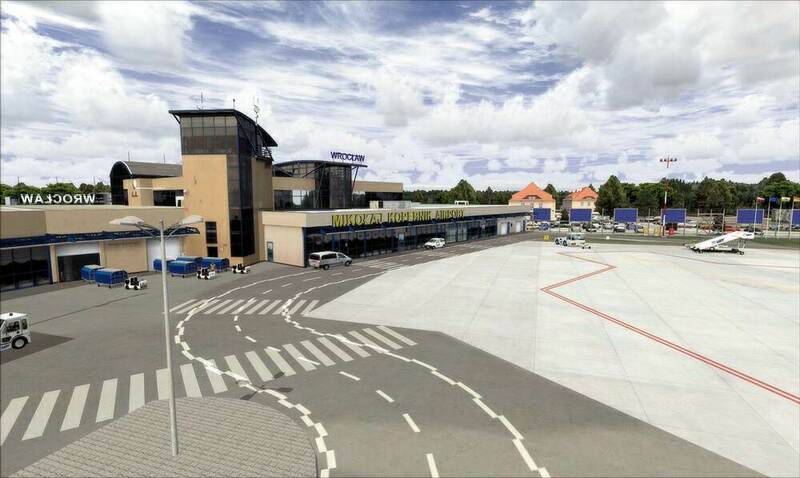 Wrocław Copernicus Airport (Polish: Port Lotniczy Wrocław im. Mikołaja Kopernika) (IATA: WRO, ICAO: EPWR) is an international commercial airport in Wrocław in southwestern Poland. The airport is located 10 km (6.2 mi) southwest of the city centre. It has one runway and two passenger terminals and one cargo terminal. The new terminal started its operations on 11.03.2012. EPWR is the 4th largest airport in Poland (after Warszawa EPWA, Krakow EPKK and Gdansk EPGD), similar to EPKT Katowice in size. Installation: The product is equipped with a fully automatic installer Please uninstall all versions of included airports you may have installed before, prior to installing this product. 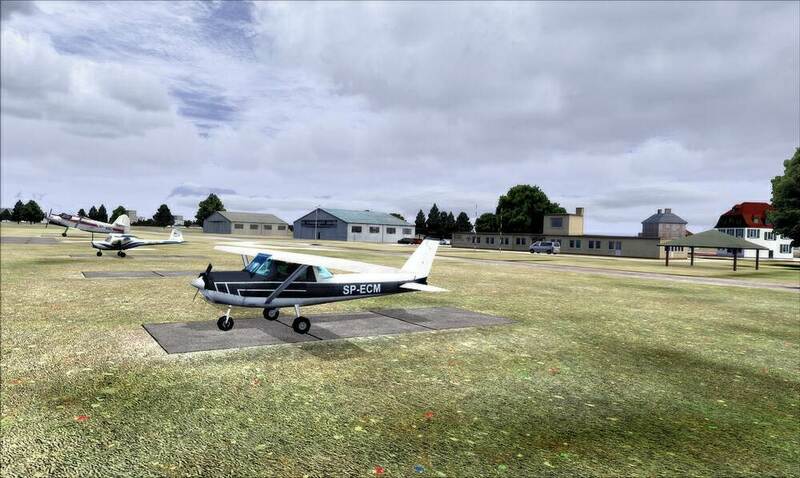 Seasonal textures: Unfortunately there are some limitations in FSX which make automatic changes of some seasonal textures (like roofs or custom made trees) impossible. 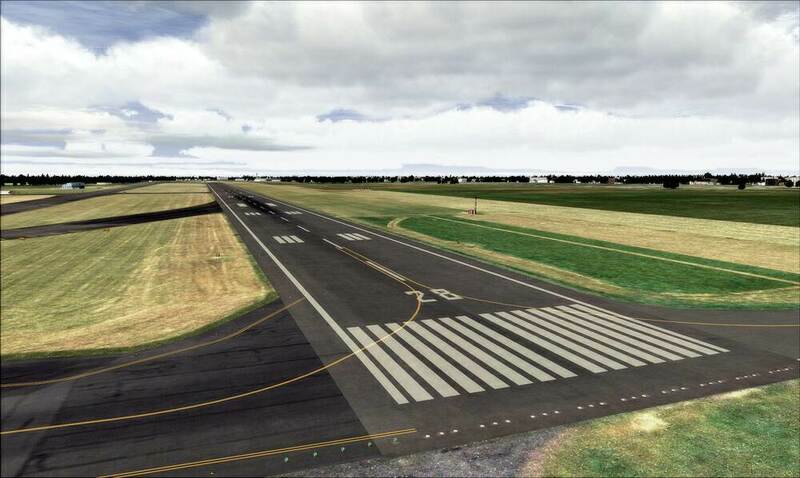 We have created a special programm -- Drzewiecki Design FSX/P3D Season Switcher -- which you can use to change all seasonal textures in all our FSX/P3D products to a proper season. The program is available here: http://drzewiecki-de...topic.php?t=189 . Without using this program Fall and Winter seasons in our sceneries may look incorrect.